You all have seen a dancing car in many Bollywood and Hollywood films, but have you ever seen it in reality? If not, then we have brought a real dancing car for you because of this Delhi man who spent Rs 8 lakh to make his Toyota Fortuner- a dancing car. The man behind such a unique car is Kamal Kashmiri who have this unique car that can dance beautifully. Well, you all are thinking that how his car can dance. Without increasing the suspense, know the story behind it. As per the Kamal, once a day he found while braking his car that it can dance also. Immediately, he got an idea that his car can also entertain the people. Basically, Kamal is from Delhi and he is having the passion for cars and also loves to entertain people. These two things made him to renovate his car. 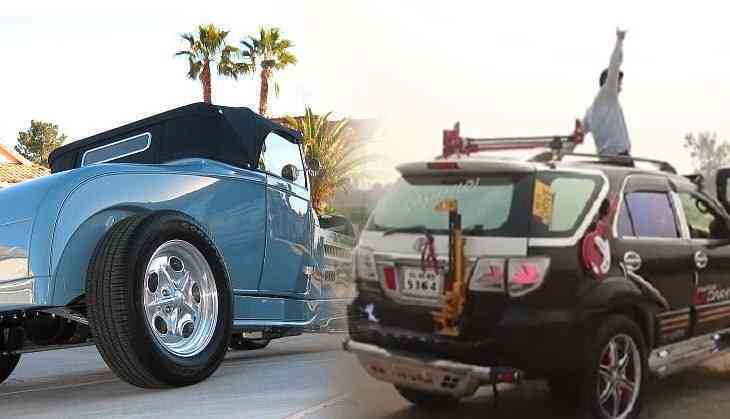 To make his car dance, he spent Rs 7 lakh to 8 lakh on its modification of his Fortuner SUV. Interestingly, out of the total cost, he spent Rs 2 lakh only on the speakers. To make his car dance, Kamal replaced the bumper of the cars, which is quite expensive for him. His Toyota Fortuner has Rockford woofers along with nine outer loudspeakers, six amplifiers and eight speakers to give an amazing music experience. Kamal even hire a man, who is responsible to take care of his car and also to protect it from drunkards and anti-social elements. What is your opinion? Comment..